I'm late! I'm late! But never one to completely give up on a challenge - so here's my quilt top. Finally! The challenge was originally issued back in 2009 by Pat Sloan. 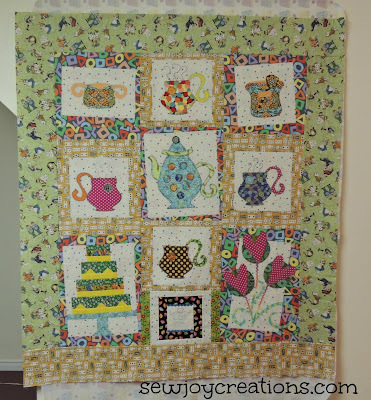 If you 'google' madhatter tea party quilt challenge you will find the applique templates for the tea cups, tea pot, cream and sugar. 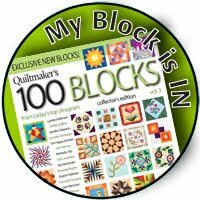 It was pretty much make the blocks and create your own quilt. A lot of possibilities there, right! 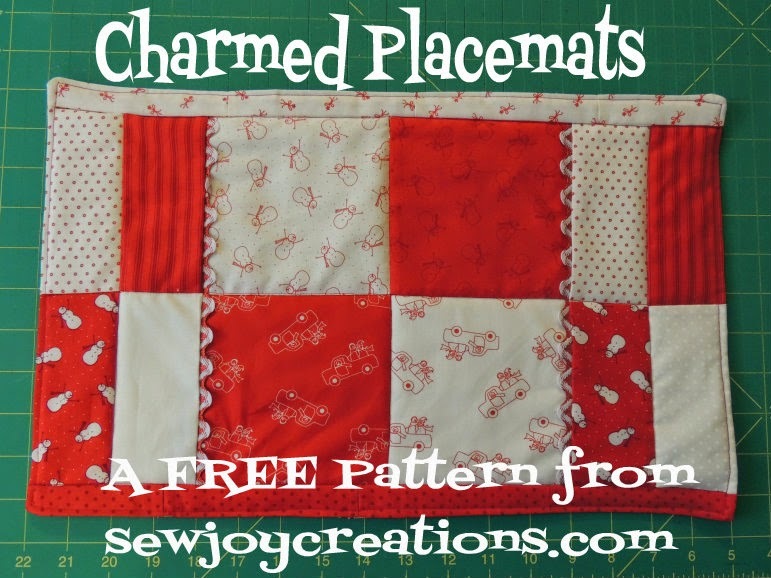 I took my time hand blanket stitching around the tea cups and such, but really wanted to get this one done this year. I've always thought of it as my after-the-birthdays-are-over month quilt because in our house we have 3 birthdays from the end of February to the end of March - I want this quilt ready to hang when the birthdays are over! 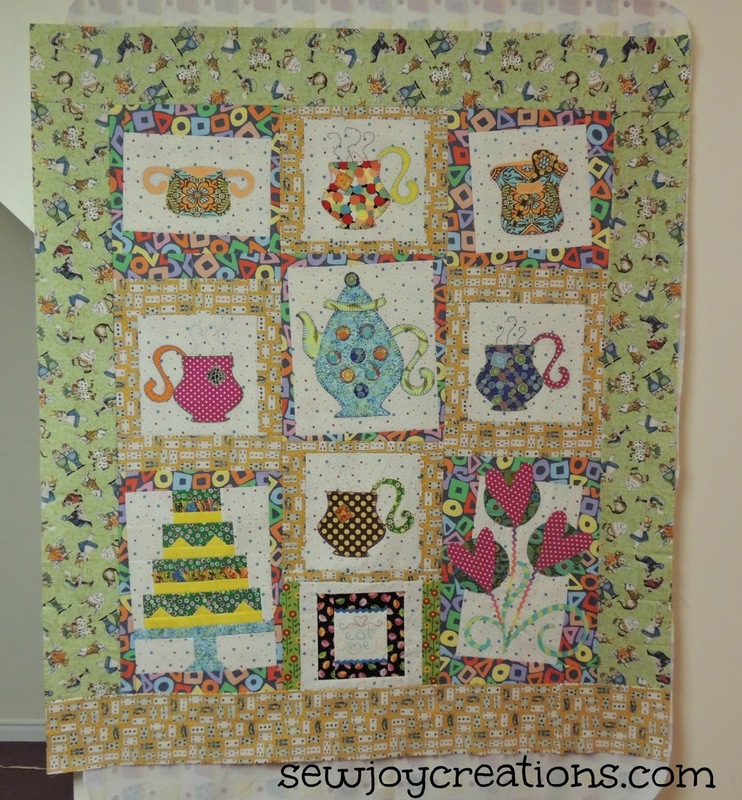 Because in my head I've always attached the tea party song, 'a very merry unbirthday to you - to you' to this quilt! LOL! 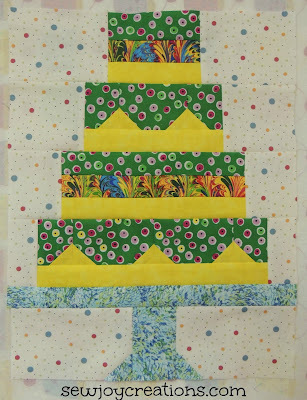 So of course my quilt needs cake! 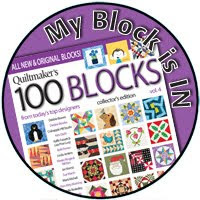 Again, several years ago now, when I saw this cake block in the Snapshot sewalong by Fat Quarter shop I knew this block would work in my unbirthday month cake. Both my son and I think it would have been better with the yellow as the icing and the green as the cake but, it's done and it definitely suits the rest of the party decor! Now that I'd added a different block to the mix I needed to figure out what to add that would still keep it looking like a tea party. I thought about a big top hat but it didn't feel quite right. 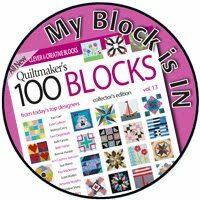 I decided to go through my books by Pat Sloan to see if any of her other blocks would fit in. Heart roses! Perfect. 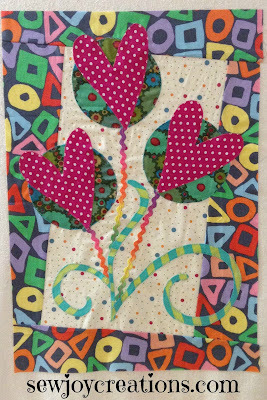 So fun to make in the fabrics I had set aside to go in this quilt. 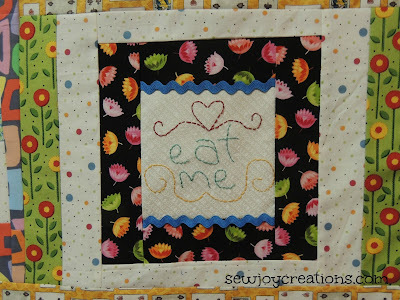 It's from her book, New Ideas for Applique. 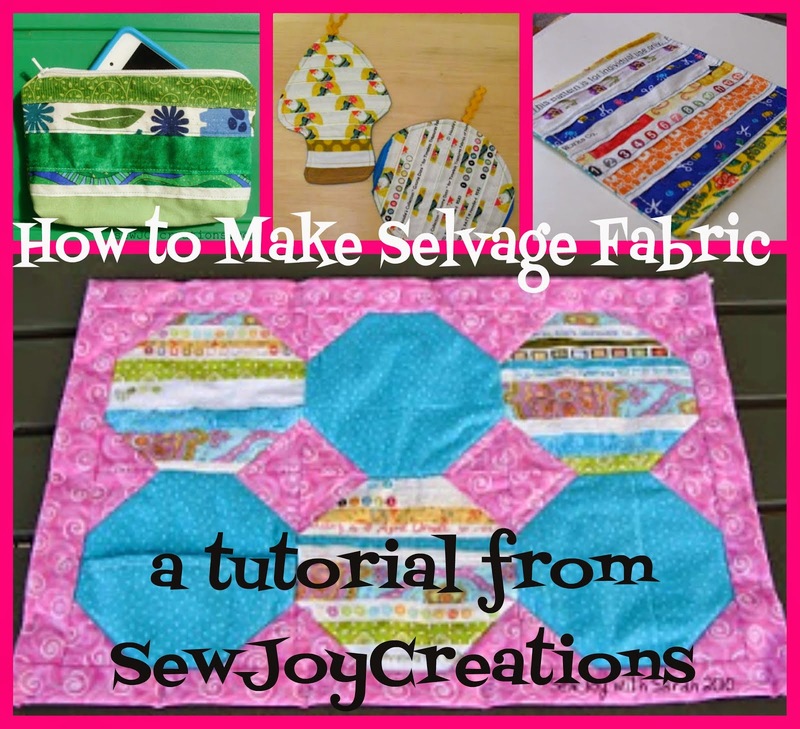 Then it was time to start setting the blocks to see what I could do with the fabrics I had. I decided on making some of them 'wonky' and used a tutorial to help me with the cutting - even though I ended up making some wrong cuts and pretty much flubbing my way through! I made the two outside columns first, alternating my sashing fabrics and measuring to get them both the same length. I decided to put a long block in each column to hopefully balance out the composition. Then I had a bit of leftover space in the middle column. 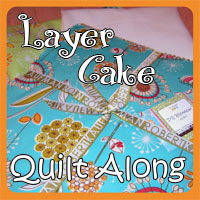 I had been considering a label for the quilt and putting it on the front. Then there was some humming and hawing trying to figure out the best use of the Alice in Wonderland fabric that I had for the borders - not enough to go around all four sides. I thought about adding little cake block or a teacup in each corner. Then I realized that where I will hang this quilt in my house you won't see the bottom all the time. So it's okay if it doesn't match or balance in the corners and that's when I came up with using the Alice fabric on the sides and top and more of the cards fabric across the bottom. I tried the card fabric on the sides but it blended right into the sashing where it's the same fabric - and alternating the fabrics around the quilt would require a lot of math and still be tricky to line up. Better late than never, right? This is my first UFO finish of 2017 - even though it's just the top. 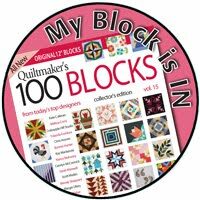 It's next in line to get quilted so it's done in time for April in my house! 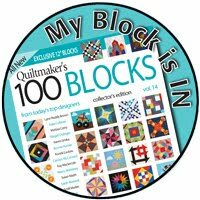 Do you make challenge quilts? What a JOYFUL quilt! 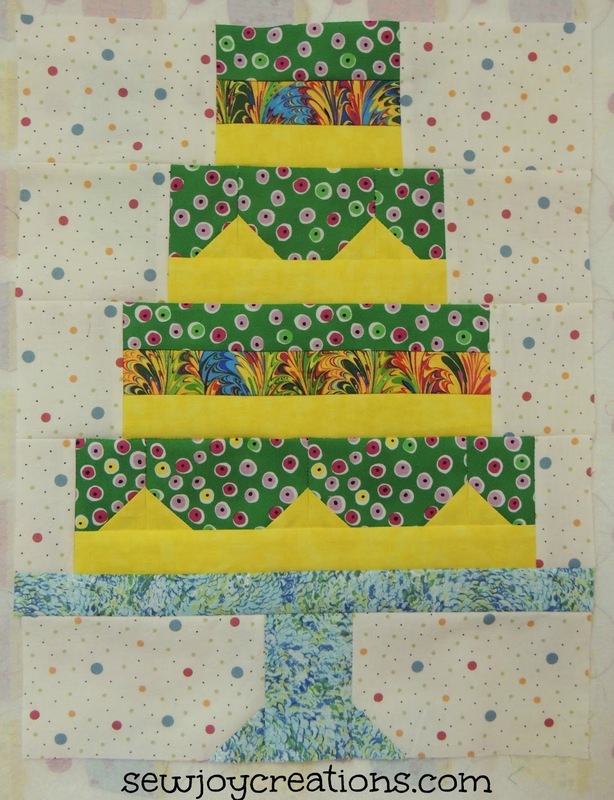 I love the idea of an "unbirthday" quilt! No one could be sad that "birthday season" is done for another year with those bright colours hanging on the wall. I don't think I've done a challenge quilt, but I've done a few mystery quilts. There used to be a fun one on New Year's day that was also a fund-raiser, but it didn't happen this year. Hope everyone at your house is feeling well!